The critics agree that Matilda: The Musical is an incredibly imaginative delight for both children and adults. 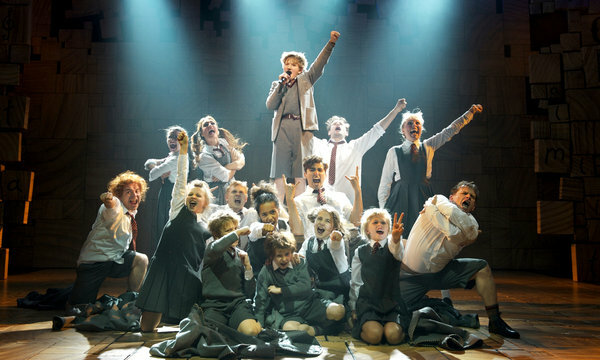 Cleverness and magic abound in this new production, thanks to the direction of Matthew Warchus and the creative songwriting of Tim Minchin, who focus on the power of storytelling and the magic of books — unlike the 1996 movie, this musical is about people, not supernatural abilities. Engaging and entertaining performances make this production irresistible — Milly Shapiro and Bailey Ryon receive praise as two of the four possible Matildas you’ll see, and Bertie Carvel’s cross-dressed Mrs. Trunchbull is both scary and believable as the show’s antagonist. The overwhelming consensus is that this musical is one of a kind and the best new work in recent memory — plain and simple, it’s not to be missed.